For a long time, I thought I knew everything there was about professional networking. Collecting business cards during lunches, speaking engagements and conferences was an important ritual I followed with consistency. These cards would then sit on my desk in a nice, colorful box that I purchased specifically for the purpose. But I never really tried to get those names on to my contact list because deep down I didn’t think the effort would be worth much. At the time I wrote this article, I was already taking on bigger projects and was in the process of growing my business when I realized that I needed to network more (and better!). Anywhere I looked for advice, I realized one thing: networking is much more than throwing your business cards (respectfully) at people. I also found that one person in four doesn’t network at all. According to Andrew Sobel’s book Power Relationships, quality trumps quantity every time. Eventually, it all comes down to the way you interact with people. After interviewing hundreds of C-suite executives, he concluded that almost all of them could recognize some 25 to 30 key relationships that made all the difference in their careers. The biggest criticism thrown towards networking enthusiasts is that they ‘waste their time’ in asking people for favors. Operational networking is inevitable if you are part of an organizational hierarchy. It maintains the capabilities of people in your internal work group. In his book How To Win Friends and Influence People, Dale Carnegie advises that the best way to interact with people in your organization is with a smile on your face. When folks at Green Mountain Coffee trained under Dale Carnegie’s Course, they were able to witness improvement in their performance at work. They learned to move out of their comfort zones, take risks and foster a deep respect for their colleagues. How many of you have watched Will Smith play the role of Chris Gardner in the movie The Pursuit of Happiness? Gardner was a medical salesperson who quit his job to learn how to become a stockbroker. The movie can pull at the heartstrings of even the most emotionless because it is a true tale of Gardner’s undying struggle to network his way to the top. Personal networking branches out from your everyday work drill and happens by your own free will. Gardner was broke, but he willingly accepted a payless internship at Dean Witter Reynolds through his amazing interpersonal skills. Today, Gardner is worth $60 million, founder of a firm and a celebrated author. Personal networking happens at your own liberty for the ‘pursuit of happiness’. Contacts don’t have to be created out of thin air for strategic networking. It can be people from your personal or operational network who can be trusted with a strategic task. Wouldn’t you rather hire a babysitter you know than trust a stranger with your baby? Quite often, we take networking as an insurmountable task where one has to step out to a completely new habitat to interact with people. Burkus debunks all these myths in his book and establishes the difference between ‘weak ties’ and ‘strong ties’ in the first chapter. Strong ties always have our back. We turn to these people for advice, news, and support. Weak ties also play their part in informing us when something unusual happens but are mostly out of our radar. Then there are the ‘dormant ties’. These contacts are mostly forgotten unless you want to rekindle the relationship. Burkus does a fantastic job by weaving in personal examples of people who masterfully awakened their dormant ties to find new channels of growth. The point is that strong, weak and dormant ties are already present in our networks. We need to work hard to utilize this pool of resources, but we must also give them something in return or tap into mutually beneficial goals. Here’s an example that illustrates this point. Britt Morgan-Saks, formerly the head of Artist Services at Spotify, is one of the most well-connected women you will meet. She explains that genuinely investing in people is the key to successful networking. The closest network around you consists of your friends. If you are a good friend who is always ready to help a buddy out, people will also go out on a limb for you. Ron Burt, one of the top network scientists in the world, came up with this chart to explain the importance of being a network broker. A network broker utilizes friends in diverse networks and validates their perspectives. Burt explains that being the most connected person is just a vanity metric if you are not leveraging existing friendships around you. Reid Hoffman, co-founder of LinkedIn, is a network broker. He believes in the simple act of helping friends out ‘in the right way’. In fact, his networking philosophy revolves around leveraging friendships. A network broker knows your struggles and happily offers help. Hoffman regularly helps his professional connections by introducing them to the right people. He simply shoots an email to both people asking if he can introduce them. If they say yes, then you have just created value in two people’s lives. A network broker is a genuine connector and helper, and people feel obliged to return the favor. Networking is the art of growing yourself personally and professionally while learning from the pool of talent and resources around you. When you need to break free from a homogeneous circle of contacts, you gather network intelligence. “Stay hungry, stay foolish”. Steve Job’s life perfectly illustrates network intelligence. Many of us know him as the founder of Apple. But what we don’t know about Jobs is his eye for new opportunities and how he recognized them via network intelligence. He went for walks with Facebook founder Mark Zuckerberg and could summon geniuses like Drew Houston to his workplace at a day’s notice. (“I mean, Steve friggin’ Jobs,” said Houston). Houston co-founded Dropbox, one of the hottest tech startups of our age. He also declined Jobs’ offer to acquire Dropbox. 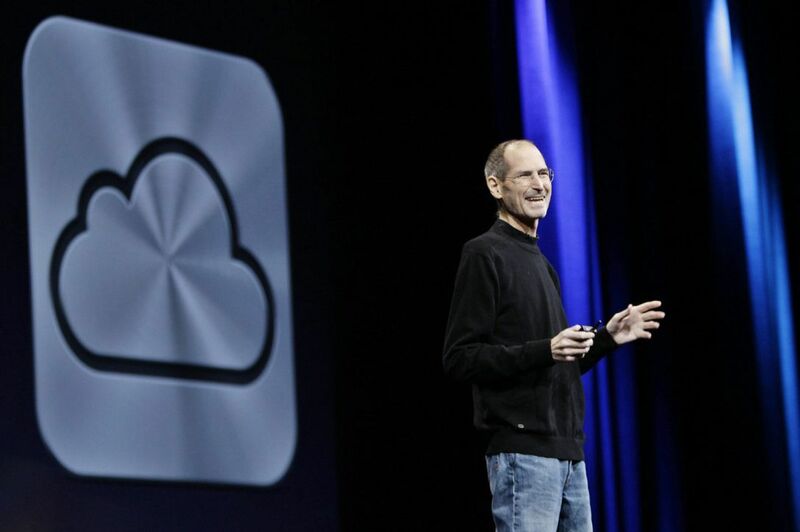 In return, Jobs went dark on the subject and months later emerged with iCloud. iCloud also offered cloud storage, but it covered one important aspect that Dropbox was missing: it synced all your files in one place on all devices. It is true that everyone wanted a chance to meet Jobs, but the master networker also had a solid reason behind his meet-ups: he wanted to learn and gain new insights. Jobs performed this ritual for the sake of network intelligence. He was based in Silicon Valley and kept exploring those networks to become a more informed and skilled professional. Look at your network and ask yourself: are you gaining enough network intelligence from the people around you? 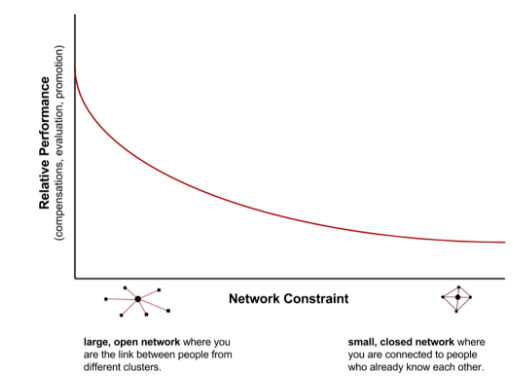 What are you learning from your homogenous network? If you’re not satisfied with the answer, tap into the potential of networking with people outside of your circle. 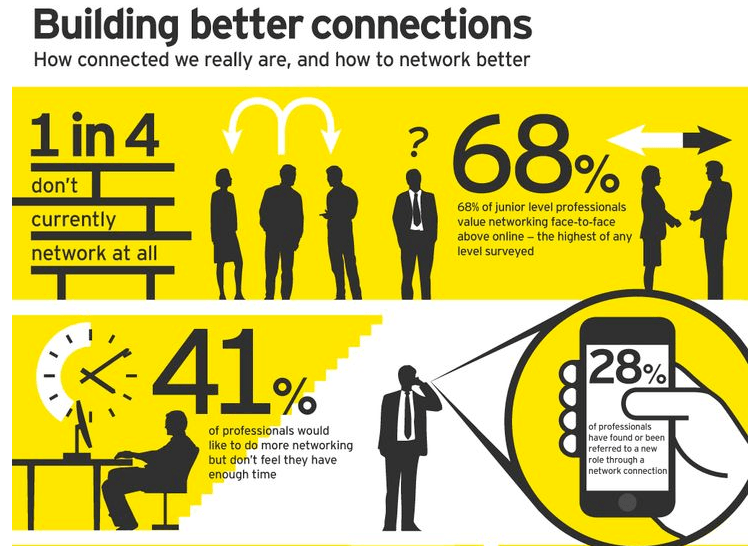 Many networking experts believe that a master networker is also a super-connector. Dharmesh Shah is a shining example of a super-connector. Shah built a massive organization called HubSpot and established an ecosystem where marketers and networkers come to learn and expand their professional horizons. He is rightly called ‘Boston’s super-connector’ who brought more than 8,000 people together for the INBOUND Summit. You don’t have to present yourself to everyone over a cocktail party. You simply have to work towards genuinely making others succeed. An average person can be a super-connector if she pays attention to the diverse pool of talent around her. Almost 100% of people said that face-to-face meetings are more important for long-term business relationships. That’s the power of super-connectors. They create opportunities out of thin air. Leterman became a multimillionaire, and people wanted to work with him because years of networking and referrals had made him extremely trustworthy. So when you think about how to take advantage of your network, you have to revisit your contact list and broaden your mind. Take a look at these 30 blogs from successful leaders from around the world for more inspiration. Manam Iqbal is an entrepreneur, blogger, writer, speaker, and influencer. She covers leadership, entrepreneurship, marketing, and productivity. Enjoyed her writing? Check out her blog for more or follow her on Twitter.